The adventure movies are capsule traditional narrative elements like antagonism between good and bad which holds romantic heroes on one side. It is one of the genres where escapism is an almost obvious component. Going back in time we can find Douglas Fairbank portraying Zorro and Robin Hood in the 1920s and Johnny Weismüller as Tarzan in the 1930s. A somewhat more modern figure is the British agent James Bond, who has been seen in series of action adventure movies. Another modern hero is of course the archaeologist Indiana Jones. 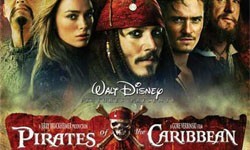 In recent days two of the biggest commercial successes are Lord of the Rings and Pirates of the Carribean. 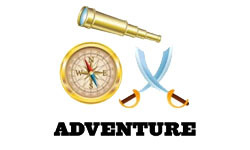 A genre overview A guide in three parts that lets you explore the Adventure genre in movies. Movies with High Budgets Movies in the action and adventure genres belongs to the most expensive. 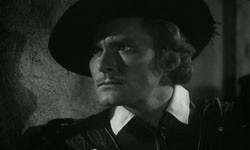 Errol Flynn Famous from movies like Captain Blood and The Sea Hawk.